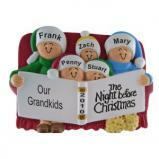 Grandparents can truly transform childhood from the nice to the extraordinary. 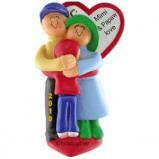 A loving relationship with grandma and/or grandpa can mean so much to a child. Grandparents are softer, more fun, lighter, and have a general sense of playfulness, more than any other adult in a child's life. 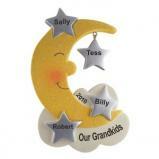 For these reasons and more, nearly everyone adores their grandparents. 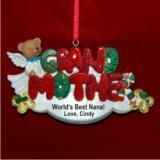 To honor them, we offer our grandparents ornaments that can be personalized several ways. 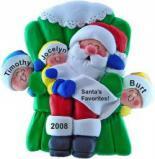 First, consider our Christmas ornaments for grandparents personalized with each grandchild's name. 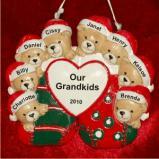 You can also create personalized ornaments for grandparents that reflect a heartfelt sentiment and message from the family as a whole. 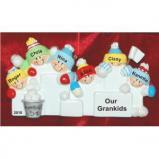 We've created separate categories defined according to how many grandchildren might be sending their Christmas message of love. 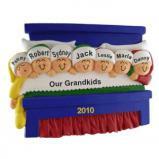 Click on the category appropriate to your needs for one to multiple grandchildren. 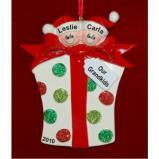 Our gifts for grandparents are sure to be a hit with both grandma and grandpa. 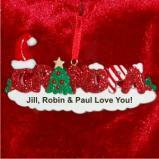 As noted, these ornaments arrive in a custom box or in our exclusive black velvet drawstring bag, ready to make a thoughtful and much appreciated personalized Christmas ornament gift.